Pope Francis has been a big supporter for ending the “culture of waste” which has led to increased production and ultimately pollution. Pope Francis, who promised on day one to make the environment a large priority, also revealed this week that his encyclical on ecology will be released by June or July. Francis says he wants his new writers to be understood well before the next round of climate change negotiations opens in Paris in November. Pope Francis also admits that the last round in Lima, Peru was a failure. U.N. climate negotiations are aimed at stabilizing greenhouse gases and keeping global warming below 2 degrees C (3.6 F), compared with pre-industrial times. The meeting in Paris will take place from Nov. 30-Dec. 11 and will focus on how to divide responsibility for global warming and how to pay to fight it. 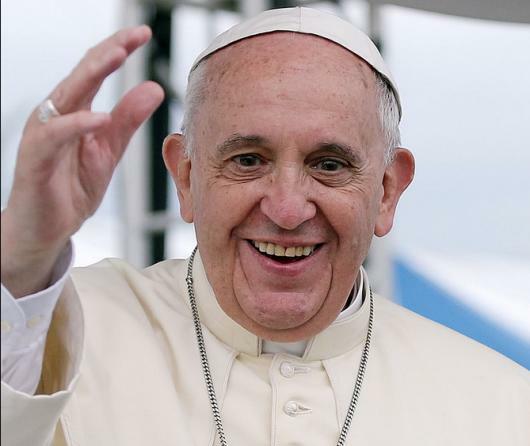 In September Pope Francis is scheduled to speak at the United Nations in New York. Climate change experts are hoping that the Pope’s speech will help fuel excitement and bigger discussions of change ahead of the U.N.’s negotiations in Paris. Opponents of the climate change theory have went on the defensive, claiming that Pope Francis has no reason to take up the issue. Those opponents claim that the Vatican’s has been taken over by a “extreme leftist” movement. Smartphones Dominate - What Does This Mean for Your Business?